Your tools are an investment, and should be treated accordingly. Proper protection from the outside world is essential in order to keep your tools in proper working order. Our waxed canvas tool rolls are designed to accommodate a wide variety of tools across a wide range of trades and disciplines. Available in 12 and 18 slot configurations, our rolls feature several pocket sizes for the ultimate in tool storage, protection, and transport. 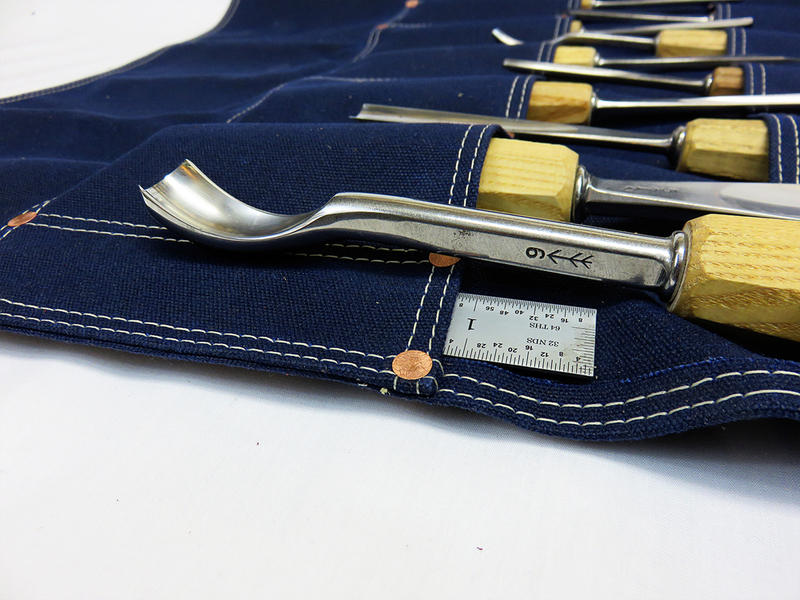 With proper use and continued care, our tool rolls will last decades. Each roll has two different pocket sizes. The largest pocket is 3 1/8" wide and the smaller pockets are 2 1/8" wide. 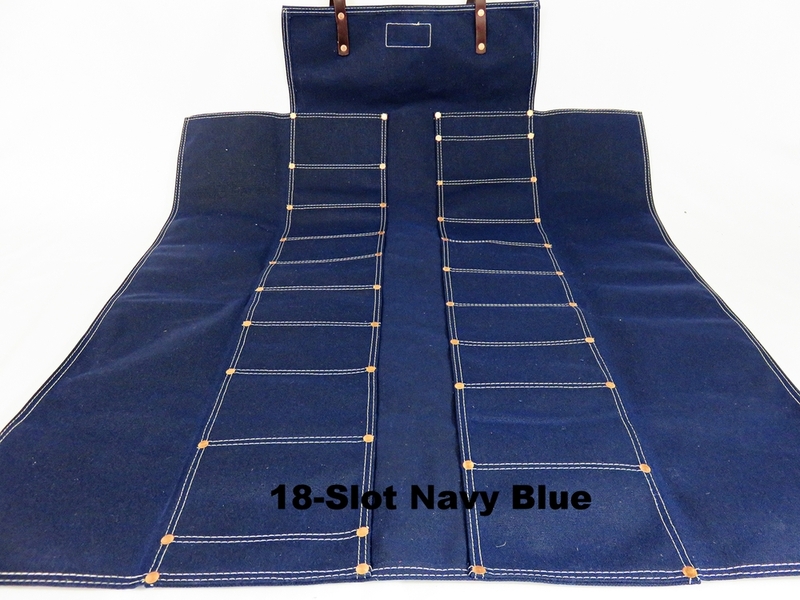 All pockets are 5" deep, allowing tools up to 12" long to fit with ease. Both the 12 and 18 slot rolls each have four of the larger pockets, allowing room for even the large "pig sticker" style English Mortise Chisel handles. The rolls are constructed of 14.7 oz. waxed cotton canvas. 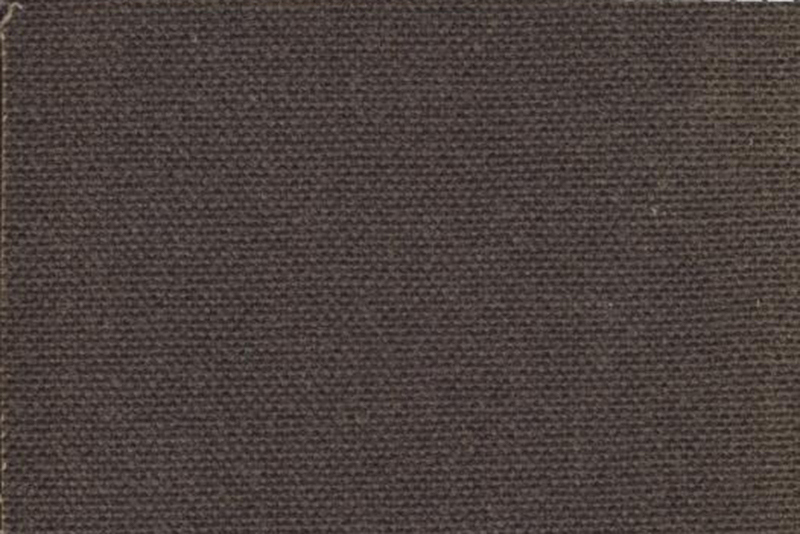 The waxed canvas is ideal for several reasons. When the wax is applied to the cotton, the fibers swell, creating a stronger material that is less susceptible to normal wear and tear. The waxed canvas creates a powerful moisture barrier, protecting your tools from accidental spills or water ingress. This wax treatment is renewable, allowing you to maintain a high level of protection for the life of the roll. The wax refinishing compound is available in our General Store. 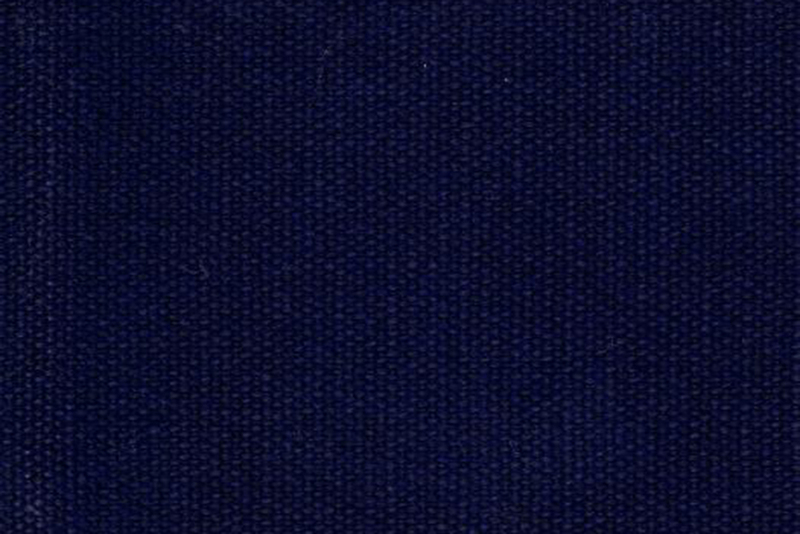 A unique quality of the waxed fabric is that it has a "memory". Once it has been initially rolled up, the canvas takes the shapes of the tools it protects. The canvas will now work with ease, falling back into place as it rolls up. The more this material is used, the better it feels and performs. All stress points are reinforced with hand peened copper rivets and double stitched seams. The rivets are installed with the smooth side facing the tools. This eliminates any chance of inadvertent scratches or marks on the ferrules and handles of your prized tools. Double stitching around all of the seams provides an added layer of protection and durability. If one stitch breaks, the other keeps the seam secure, and your tools safe. The outer facing surface of the rivets is available in two finishes. The first is a smooth peened rivet which is sleek, strong, and unobstrusive. For a more rustic look we also offer hand hammered rivets, each one unique in its appearance. Both are exceptionally strong and eliminate the weak points most modern rolls have. Neither rivet finish offers an advantage over the other in terms of strength and durability, both are unbelievably strong. It's strictly an aesthetic choice, one that you should have a say in. Leather straps help keep the roll tight and secure when put away. The straps are secured with copper rivets and are easily adjustable to any diameter. Two flaps run the length of the roll on both sides, keeping your tools in the slot at all times when rolled up. You no longer have to be concerned with a sharp chisel sliding out and damaging its freshly honed edge, or worse, your foot! The staggered pocket configuration helps each tool lay flat, reducing damage and making inserting and removing the tools much easier. The staggered pockets are made possible by the 1/2 pocket on each side. 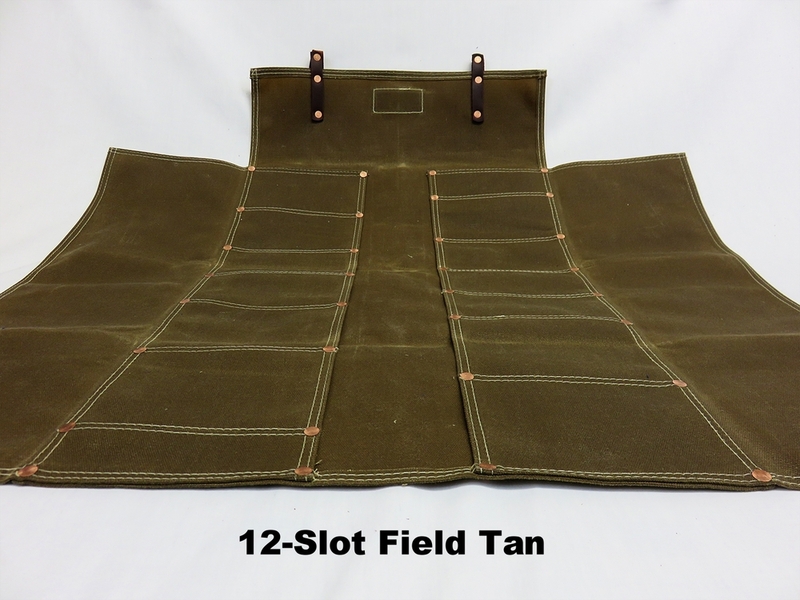 These 1/2 pockets are useful for your six inch rule, pencil, or marking gauge. 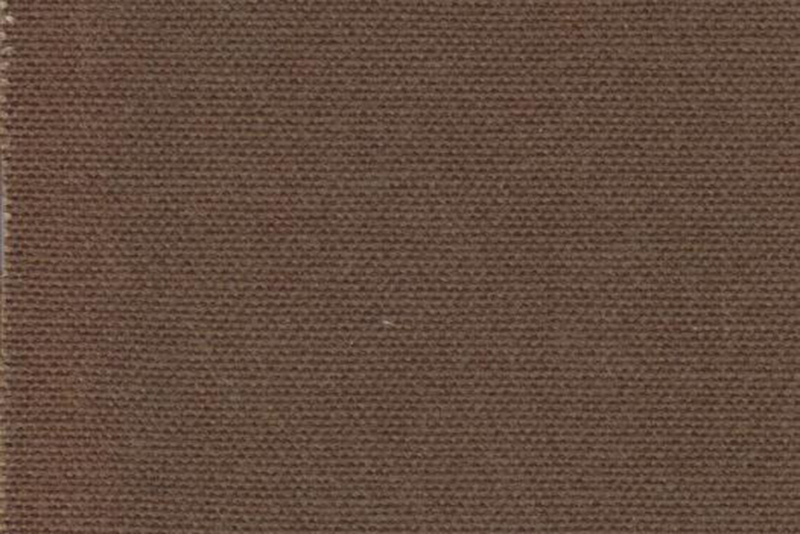 Even though this waxed canvas is extremely durable, it can still be cut when presented with a sharp edge. All tools stored in these rolls should have their cutting surfaces protected. There are numerous options for covering the tips of your edge tools. Chris Schwarz outlined a method involving painter's tape and plastidip. I've used this successfully for years, it's cheap and very effective.You can read about it here. I also wrote an article for Furniture & Cabinetmaking Magazine recently covering the construction of leather covers for chisels and other hand tools. It covers all of the basic steps involving hand stitching and has some excellent photos to guide you through the process. You can read it here. These tool rolls have limitless possibilities. With the varied pocket sizes and rock solid construction, these rolls should outlast you. You owe it to your tools to protect and preserve them for future generations. The Chisel/Carving Tool Rolls are available in four colors; Charcoal Grey, Navy Blue, Field Tan, and Olive Drab.